eSport is a WordPress eSport theme and WordPress gaming theme. The theme is suitable for clans, eSport teams, gamer, eSport organization, eSport tournaments, eSport leagues. eSport have WPBakery drop and drag page builder and quality theme options panel. You can customize the theme easily. eSport WordPress theme have fixtures, sponsors, teams, blog system, bbPress forum system and many features. You can create a quality best game and eSport website with eSport gaming WordPress theme. eSport is compatible with WooCommerce, bbPress, eSport features and many features. You can get the support from our support center. We have a comfortable support service. Click for go to our support center. - Updated: WPBakery Page Builder. - Added: One Click Demo Importer. - Updated: Header on mobile. 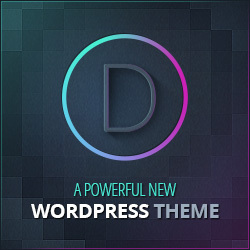 - Updated: Theme Options panel. - Fixed: Post pagination problem. - Updated: Player list element. - Updated: Buttons on slider. - Updated: XML demo content. - Updated: Page builder elements.